The 21st century has witnessed new forms of digital media replacing traditional mediums leading people to become more socially active than ever. Most of digital media content posted online continues to gain more and more followers as media consumers frequently share among their friends online. However, only a few from the media consumers question the content they consume, meaning that media producers are unparalleled, giving them complete control of shaping audiences' attitudes and beliefs. 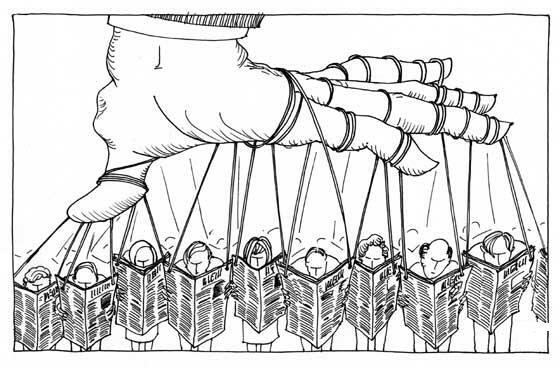 Image Source: Lily's Journalism Blog: How media constructs reality. Firstly, statistics show that 8.7 million people in UAE have Facebook accounts, out of which, 4.1 million come under the age category of 18-29. Whereas, based on the GfK Connected Consumer Index, UAE comes on third position in 'The Most Connect Countries' list. These statistics imply that media producers have the ability too catch audience's attention and abundance of time to present media messages to convert into a 'norm' to media consumers. Whereas, the use of media messages created 'stereotypes'. According to a research paper by Shannon T. Isaacs, Pennsylvania University, states that stereotypes had started since the 1940s. It has transformed casual behaviours performed into norms which has led to a miserable impact to certain professions. For example, forensics themed TV shows like Dexter or NCIS present unimaginable or never-introduced technology presented to masses that haven't experienced a real life scenario of what they're watching, thus believing that laboratories in reality have technology to solve problems. For instance, fingerprinting is shown as one single scan on the computer and it does all the working. However, fingerprinting works on a system which still requires more evidences, such as handwriting or witnesses. Moreover, reality TV shows like 'Jersery Shore' or 'Big Boss' are a misrepresentation of people's behaviours because most of the behaviours are scripted, to gain more views. Unfortunately, audience's aren't aware of such practices and thus, emulate similar behaviors. Image source: Complex UK. 2017. "Jersey Shore" Screencaps Show Continuity Errors | Complex UK. 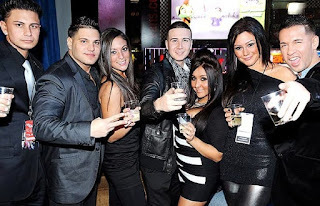 [ONLINE] Available at: http://www.complex.com/pop-culture/2011/06/jersey-shore-screencaps-show-continuity-errors. [Accessed 09 April 2017]. Lastly, the use of digital manipulation affects gender stereotypes to a strong extent. Commercials are known to use stereotypes to generate revenue. For example, male cosmetic advertisements like Fair and Lovely Men present men with dark skin unaccepted in society compared to being a charmer when he had white skin, due to a transformation after applying the cream. In this manner, media constructs reality by determining which skin colour is more acceptable in society. Overall, with the implications of time spent on consuming media, usage of stereotypes, scripted behaviours and with digital manipulation, media is constructing social reality in the wrong way. 1) ymmediastudies. 2017. The media constructs reality | ymmediastudies. [ONLINE] Available at: https://ymmediastudies.wordpress.com/2011/02/04/hello-world/. [Accessed 05 April 2017]. 2) prezi.com. 2017. The media construct reality by larry lam on Prezi. [ONLINE] Available at: https://prezi.com/rfreiyh3hrex/the-media-construct-reality/. [Accessed 05 April 2017]. 3) Media Construct Reality. 2017. Media Construct Reality. [ONLINE] Available at: https://www.slideshare.net/dianaknoll/media-construct-reality. [Accessed 05 April 2017].